Records show that business leaders in Cortland began discussing the creation of a business organization as early as 1896. The Cortland County Chamber of Commerce was formed on November 12, 1903 as the Cortland Board of Trade. The Board of Trade changed its name to the Chamber of Commerce in 1911, and its articles of incorporation were approved in 1945. Today, the Chamber staff, Board of Directors and many volunteers serve nearly 450 members in and around Cortland County. 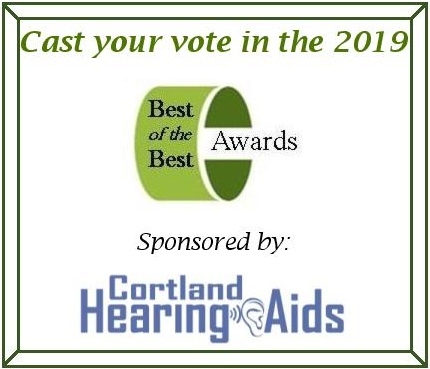 The Cortland County Chamber of Commerce, headquartered in downtown Cortland, NY, is the region’s leading business advocacy organization representing all of Cortland County, the villages of Groton and Dryden in Tompkins County, and the village of Tully in Onondaga County. We support approximately 450 members representing over 14,000 employees through business-to-business connections and consistently provide opportunities and resources to help our members grow and thrive. We participate in professional development programs through the Chamber Alliance of NY as well as The Association of Chamber of Commerce Executives, a national organization.